Rich, well drained, with plenty of compost added. Full sun or partial afternoon shade. Yes, survives mild frosts, can protect with straw or fleece. Can apply weekly liquid feed in summer if necessary. Peas, Mangetout and Hairy Vetch. Best raised from buying or splitting off shoots which arise from the roots of mature plants. Need plenty of water so they benefit from having a layer of mulch such as well rotted compost around them to retain moisture. 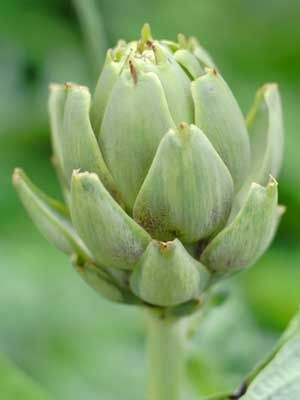 Use a sharp knife to cut the heads (flower buds) with 2 inches of stem attached while they are still closed or justly slightly opening.